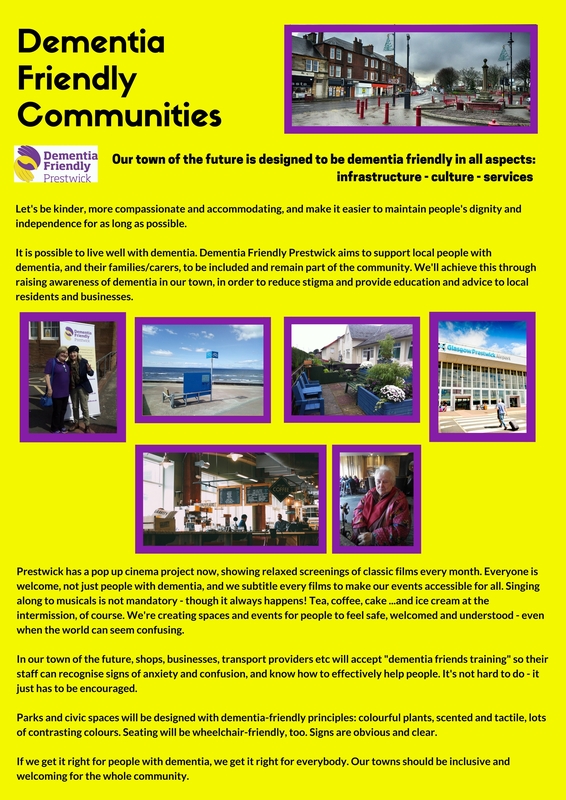 How delighted are we that Scotland’s Towns Partnership (STP) has shortlisted the concept of dementia friendly communities in their “FutureTown Design Competition 2017”. We submitted our way of delivering DFC, and now the public are voting for their favourite idea. Voting is open during Scotland’s Towns Week – 20-26 November. If you can vote, please do. Click here. And if you vote for us…THANK YOU! STP is the go-to body for Scotland’s towns; a hub for promoting all things towns, and a hive of activity to help you learn, connect, find practical support and advice, and share good practice and knowledge. We talk to Visit Scotland at STP’s annual conference this week. “Inclusive tourism” is a key theme of theirs. 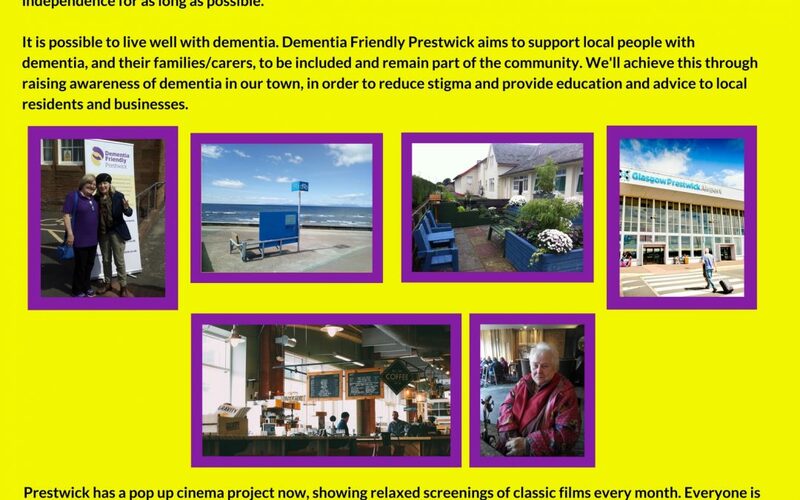 We are invited to explore “dementia friendly tourism” with them, and we’ll share updates as they happen. Please get in touch with your hopes and ideas, as always.